Who is ANF Technologies LLC? Founded in 2013 ANF Technologies, LLC is a small company with big capabilities and deep roots. We are the successor company to Micrographic Sciences, Inc. (MSI) which for 38 years was an innovative force in film and digital technology. 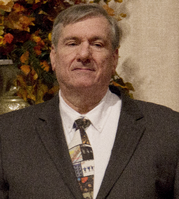 Thomas R. Williams, President, joined MSI in 1983 with immediate responsibility for the Cleveland, OH office. Tom was responsible for adding and maintaining many large customers to MSI's customer base. These included Society Bank, Ameritrust, National City Bank, Key Bank, PNC Bank, BP America, US Bank, Bank One, First Merit Corporation, Firstar, Park National Bank, BancOhio Corporation, Liberty National Bank, CoreStates Bank, Fifth Third Bancorp, AllState Insurance, Discover Card, Chase Manhattan Bank, Goodyear Tire and Rubber, Great American Insurance Co, Charter One Bank, and many others. Tom has extensive knowledge of the requirements for successful, efficient fulfillment of image and information requests. Highly sensitive to the needs of the customer, Tom has built a reputation as someone who delivers and is an advocate for his customers. Carroll B. Mayhugh, Jr., Vice President, joined MSI owner Paul F. Puttman in 1975 to form MSI. Carroll managed the company's operations as General Manager for 38 years. During the early years when microfilm was the media of choice for document storage Carroll developed a Process Control System, moved to computer in the early 1980's as the Computer Assisted Processing System (CAPS), that provided extraordinarily consistent, high quality microfilm processing. When branch filming gave way to centralized sorting and simultaneous filming using a strobe light source, Carroll recognized that the existing microfilms performed poorly and developed a film/processing combination that overcame the deficiency 8 years before the rest of the industry. He was often asked "Why does the film look better and print better when you process it than when the film manufacturer process it?". The answer lay in the CAPS system and the custom processing chemicals used by MSI. Several industry leaders licensed the CAPS system from MSI to replicate MSI's results. Carroll pioneered the conversion of microfilm images to digital images and advanced distribution beginning in 1988 with software for Kodak IDWs and Fuji M-Drives. Throughout the 1990's Carroll expanded the digital product, first with CAPSCAR Plus, a digital image distribution and request fulfillment service. The penultimate achievement was the development of the Advanced Network Foldering System in cooperation with National City Bank. This was followed in 2005 with the ANF Job Manager, developed in cooperation with SunTrust Bank. The marriage of the Advanced Network Foldering System (rechristened the ANF Distribution System) and the ANF Job Manager created the ANF Technolgy Suite, first marketed in 2006. The ANF Technology Suite Version 2.5 was introduced to customer acclaim in 2010. Version 2.5 include features and processes requested by MSI's customers to improve their operation. In 2013 when Paul Puttman decided to retire and dissolve MSI, Carroll and Tom Williams acquired selected assetts, including the ANF Technology Suite, and formed a new company, ANF Technologies LLC. Carroll has been involved in the development of the recently announced ANF Technology Version 2.75 that continues the practice of incorporating new features and processes to make the customer more efficient and prodductive. Carroll has a reputation as a provider of well designed and executed back office applications.